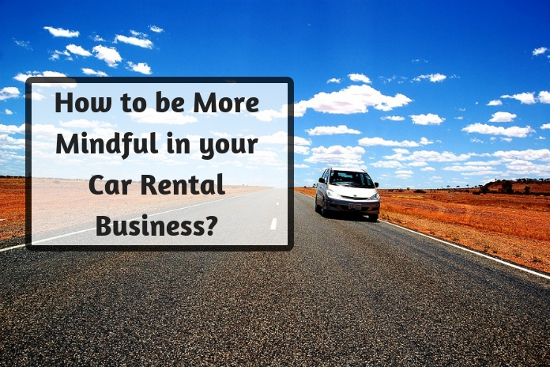 Home Automobile How to be More Mindful in your Car Rental Business? Being an owner of a car rental business comes with its own set of perks and responsibilities. The Car rental business space is, however, becoming increasingly competitive. It becomes necessary that you carve a niche which helps you differentiate your business from the rest of your competitors. Using a car rental system is one of the ways which can completely uplift your business. With the help of the kind of software that we are talking about over here your staff would be able to process all the bookings within a short span of time as well as with a high degree of efficiency as well. At the same time, it also needs to be said in this context that these systems are much more than mere software that enable basic functions such as booking. This is the reason why companies these days also use car rental software. They can take care of servicing and maintenance of vehicles. What is a Rental Car Software? It is a combination of mobile based applications and software which can be used to manage all aspects of your business, like booking, GPS Navigation, and keep a track of operations and finances. They can deal with infringement processing, interface with other third party systems without any problem whatsoever, and analyse reports in an in depth manner. It helps that these systems are rather easy to learn and they work in an intuitive manner as well. This makes sure that your stuff would not have to spend a lot of time on various work related to administration. You would be able to emphasize on the core area of your business. With car rental reservation software you would be able to provide a really high level of customer service, which is what you set out to do originally. What are the Features of a Car Rental Software? • Helps you Automate your Car Business: Maintaining a daily log of your activities can be a tedious task and is also prone to errors. Using the software, one can create rental agreements online, manage documents, offer discounts and other financial freedom and all the daily resources required for the functioning of your business. This can help you save precious time and money, which can be used to devise strategies for further growth. • Reservations and Integration with Online Booking: Using rental car software, users can directly book a vehicle online and this data is integrated with the software database. This helps you allocate your vehicles in a much efficient manner and helps you get additional reservations. • GPS Integration: Having GPS integration with your vehicles, can help you manage all aspects of safety and fleet management. This also instils a feeling of trust in your clients that their safety is being looked after. As far as business aspects are considered, you can get valuable data on the kilometers that a vehicle has run the fuel consumption, mileage, maintenance issues and live-location of your vehicle. • App-Based Platform: Using the software provides a mobile application which can be put on respective app stores. 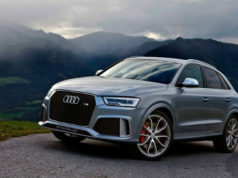 This offers users to experience a car hire software free of cost. As the number of mobile users is increasing, a host of exciting features are being provided to mobile a user which adds to the functionality of mobile devices. Also expanding your horizon to mobile can result in a significant increase in your user base. The mobile application works as good as the computer-based software. All booking done through the app is integrated with the database and updated in real time. • Tools for Business Intelligence: The software is enriched with multiple features which can provide meaningful insights into the daily revenue generation, expenditures and the number of vehicles can hire. These statistics can help you refine your strategies and goals for increasing the volume of your business. It is one of the leading car rental systems which provides the car rental software demo before you choose to buy it for your business. This can help you get acquainted with all the features and usefulness of the software for your business. Automating your business is a great way to boost the growth of your business to new heights. This in turn would mean that your profit margins would increase as well and you would be a lot more cost efficient with respect to your business as well. In fact, the solutions that we are talking about over here are the most cost effective, which is a benefit that sways the balance so much in their favour. The costs of implementation are basically zero and they happen to be available immediately. So, if you needed reasons to implement car rental programs you can be sure that you have plenty of them on hand. You would see benefits in all areas of your business. Previous articleHow Does a Post Matrimonial Investigation Help in Divorce? Next articleHow to Develop Your Business Using Payday Loans?